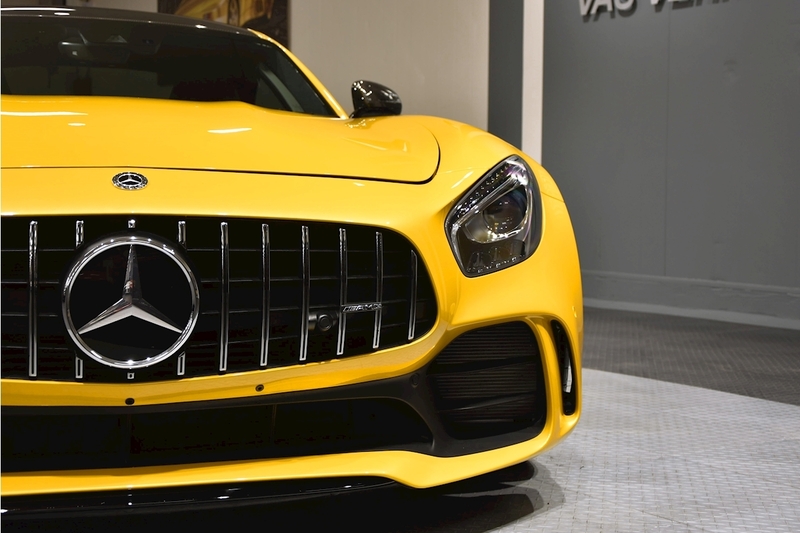 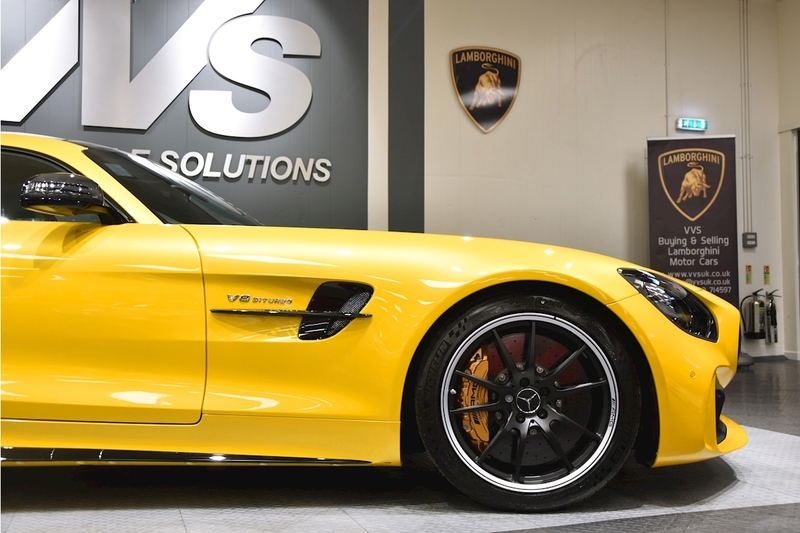 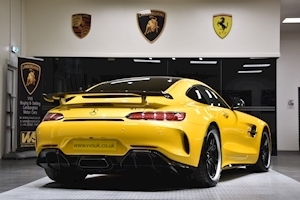 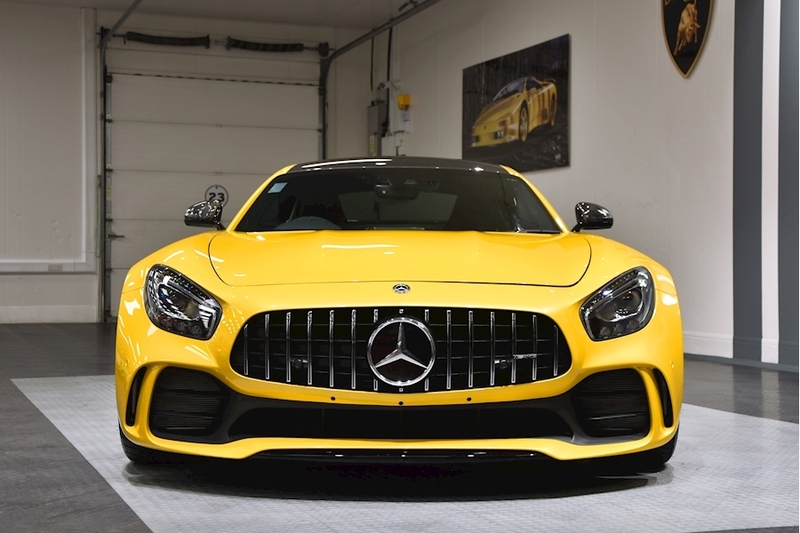 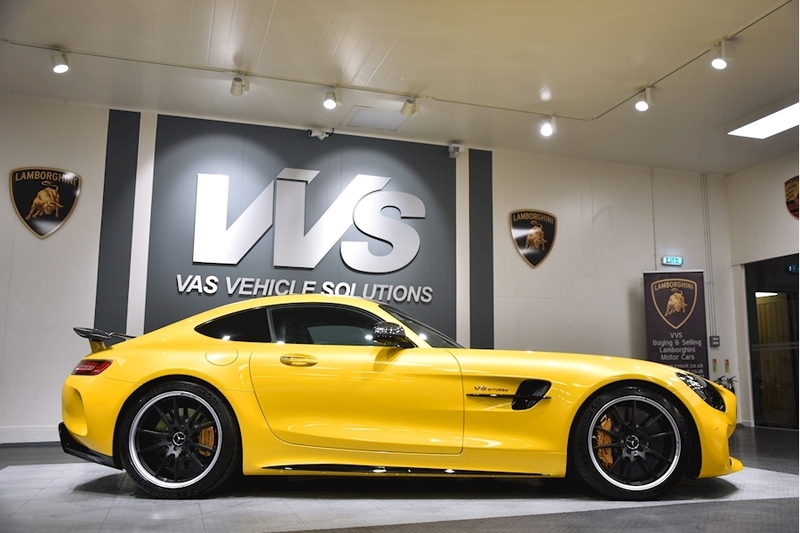 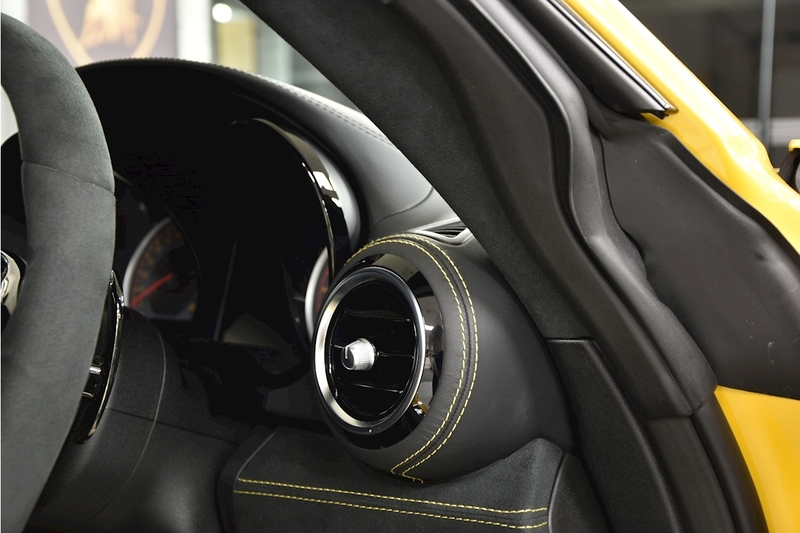 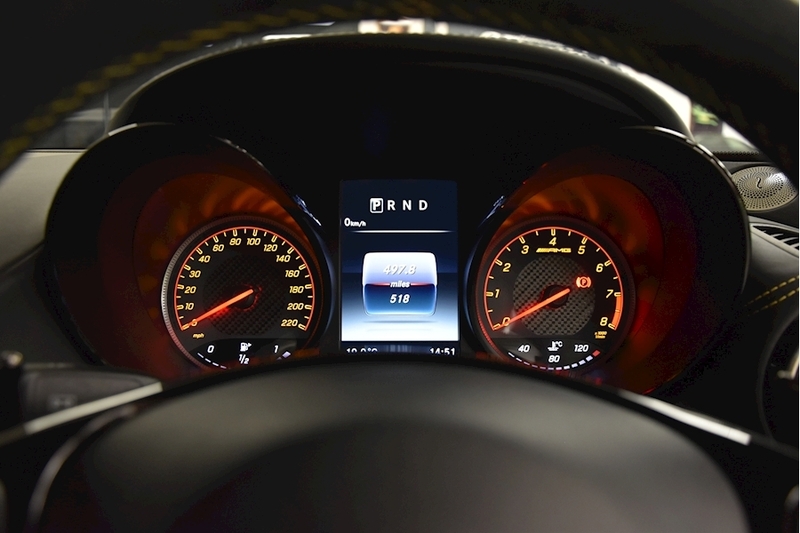 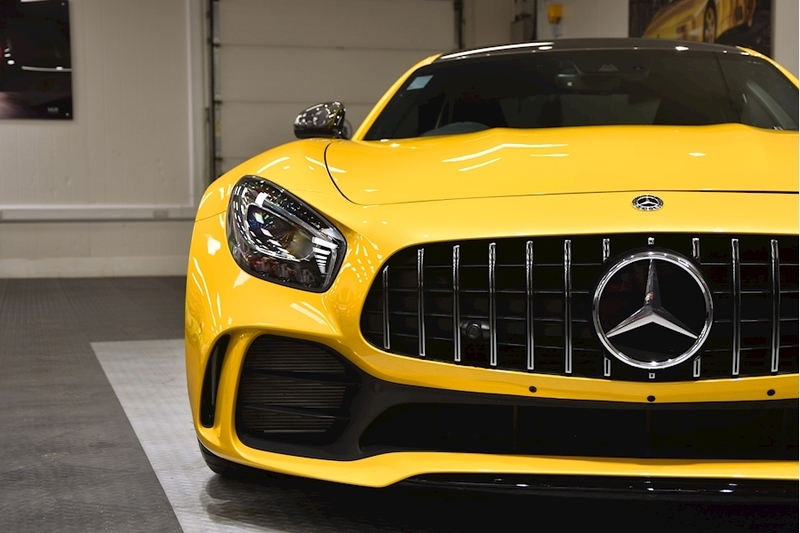 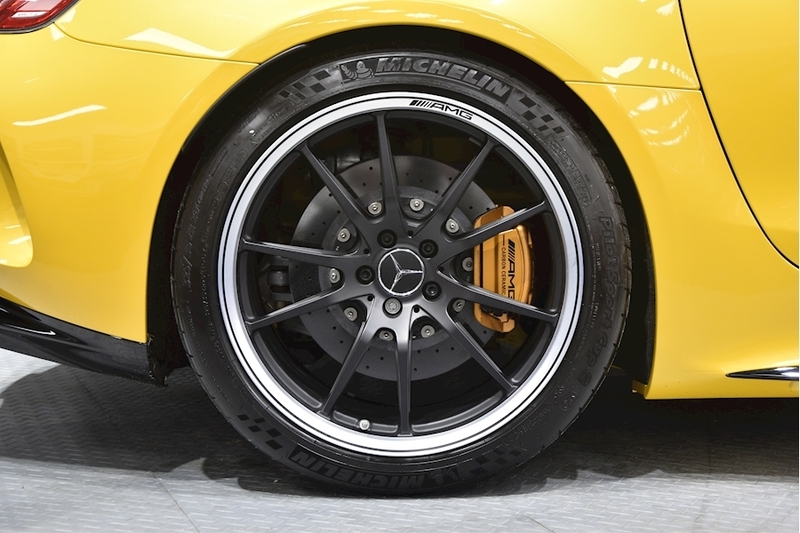 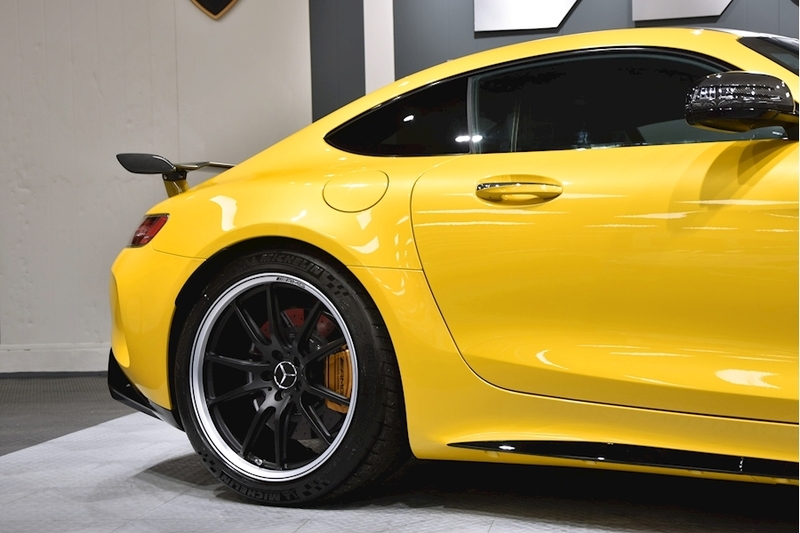 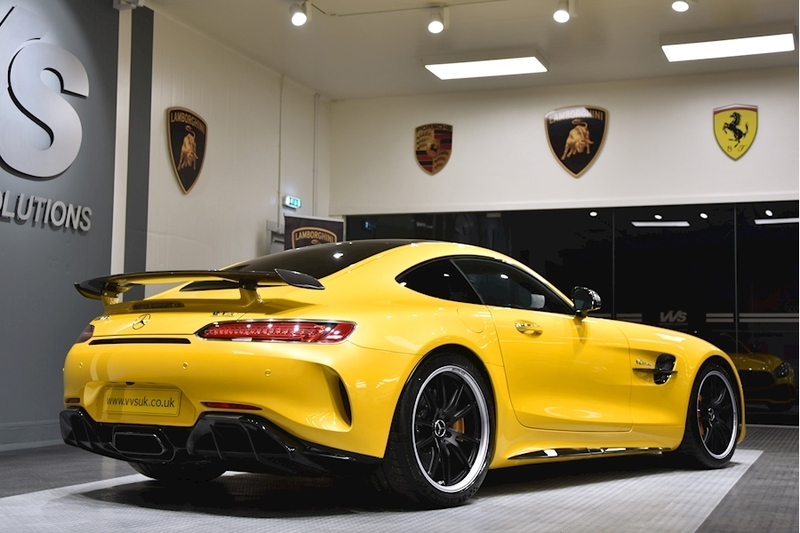 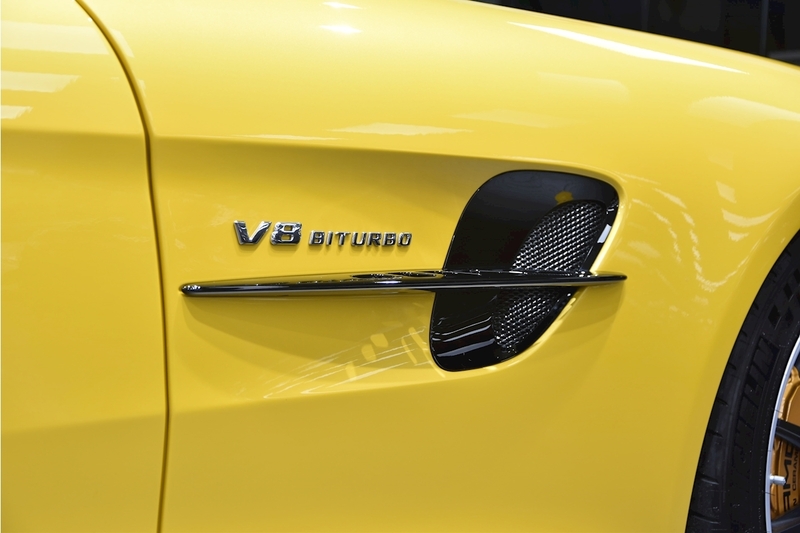 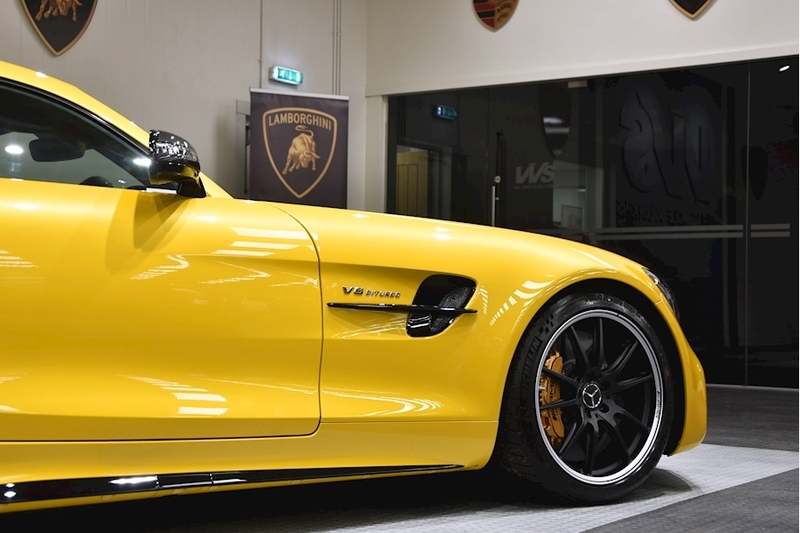 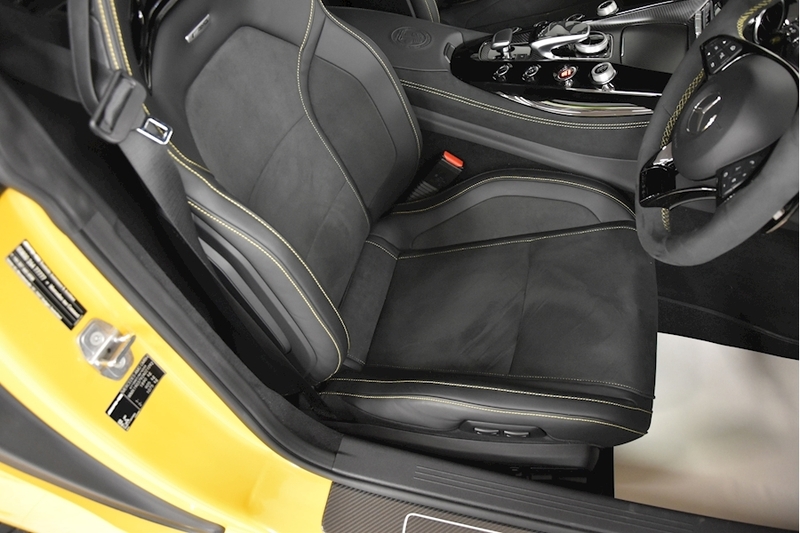 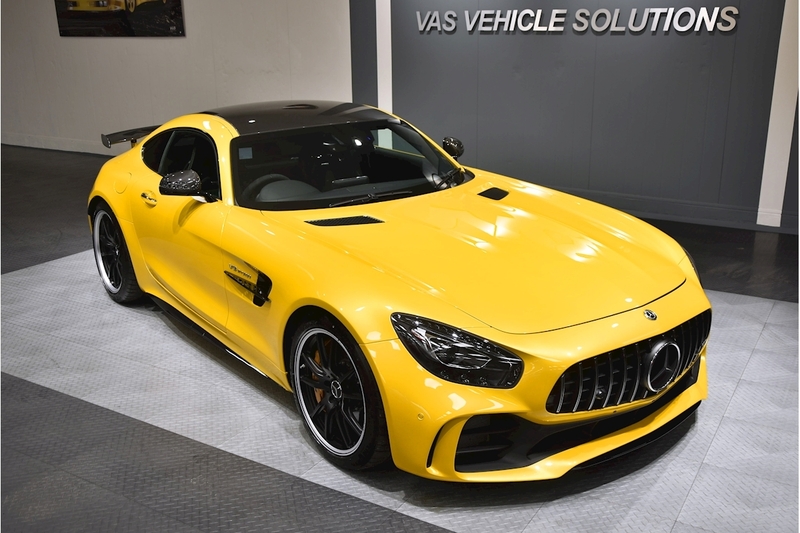 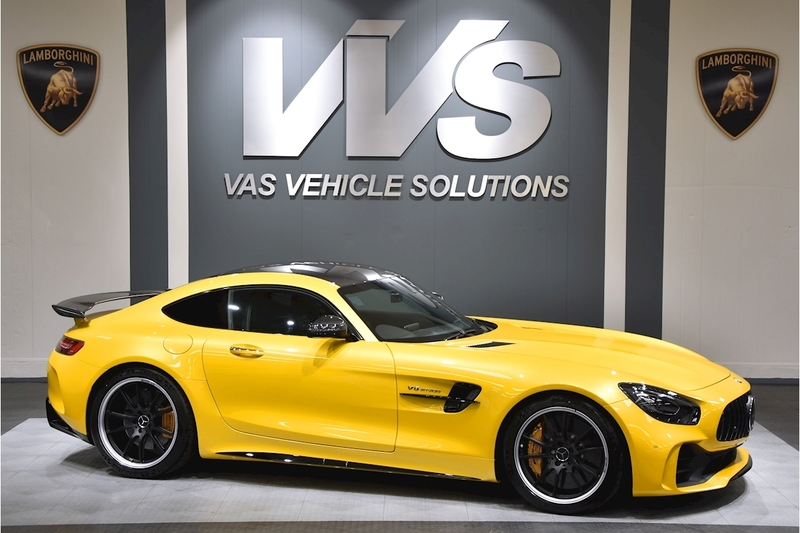 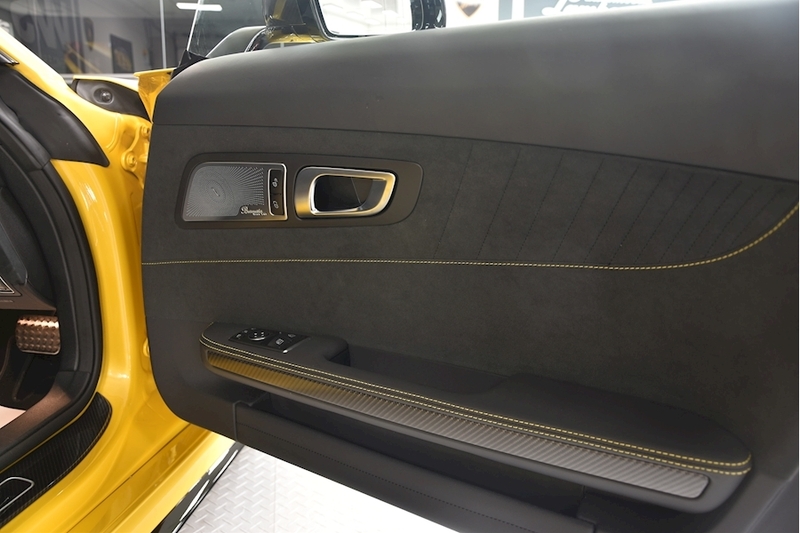 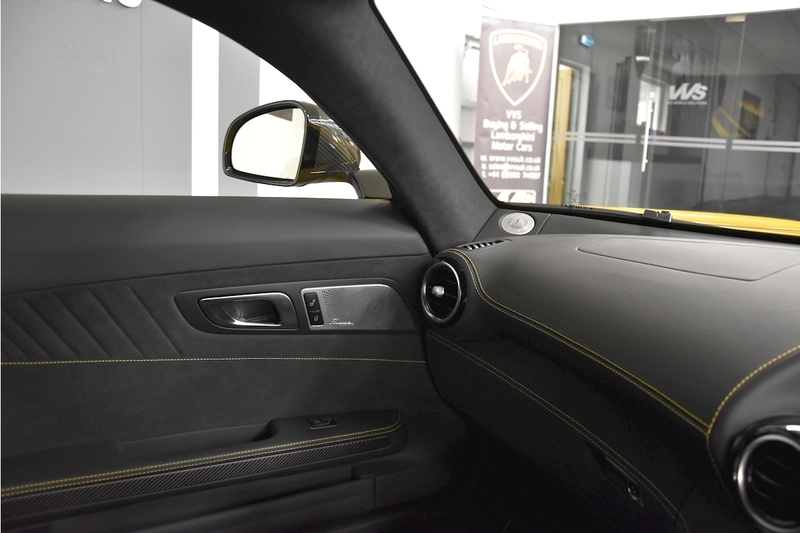 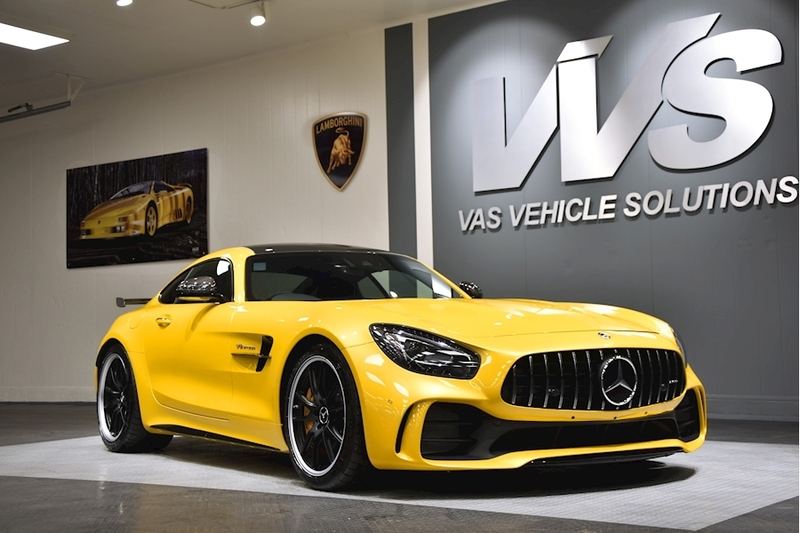 VVS are delighted to offer this 2018 Mercedes AMG GT R presented in the fanastic colour combination of AMG Solarbeam yellow with contrasting nappa leather/ dinamica microfibre black. 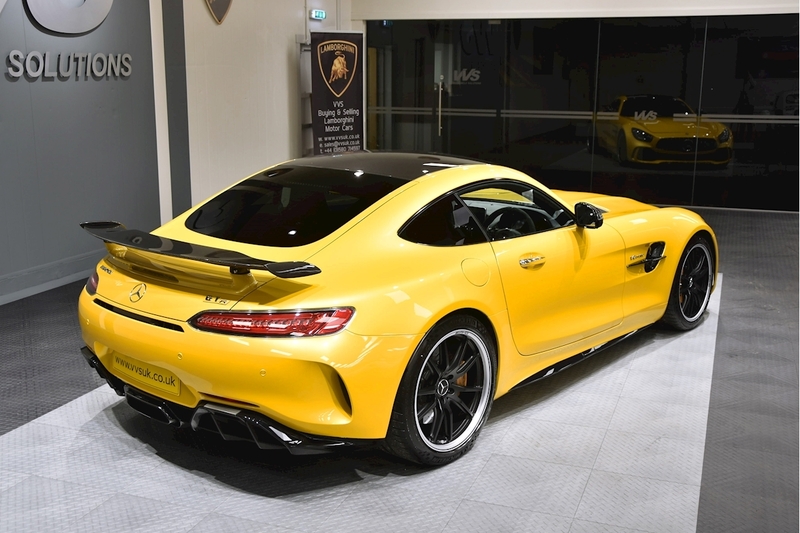 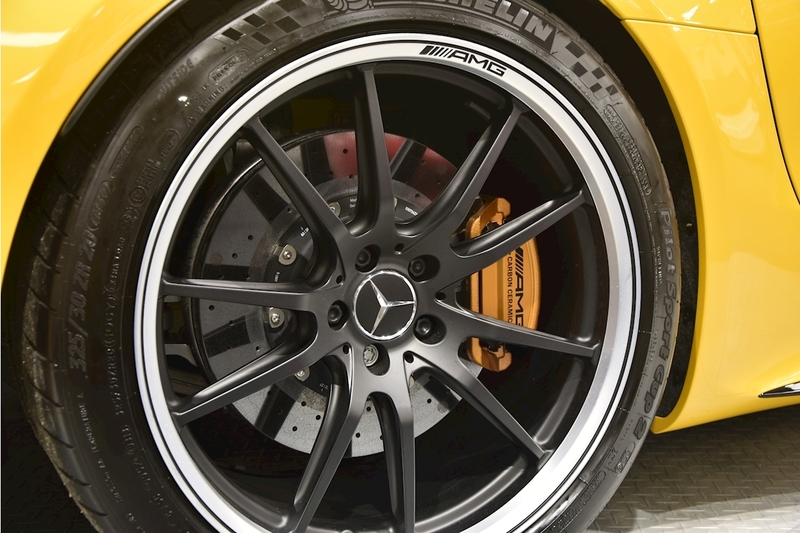 This is a full specification car including the burmester surround sound, ceramic brakes, AMG performance seats, premium package, AMG matte black carbon trim package, carbon fibre engine cover, exterior AMG carbon fibre pack, AMG performance forged alloys. 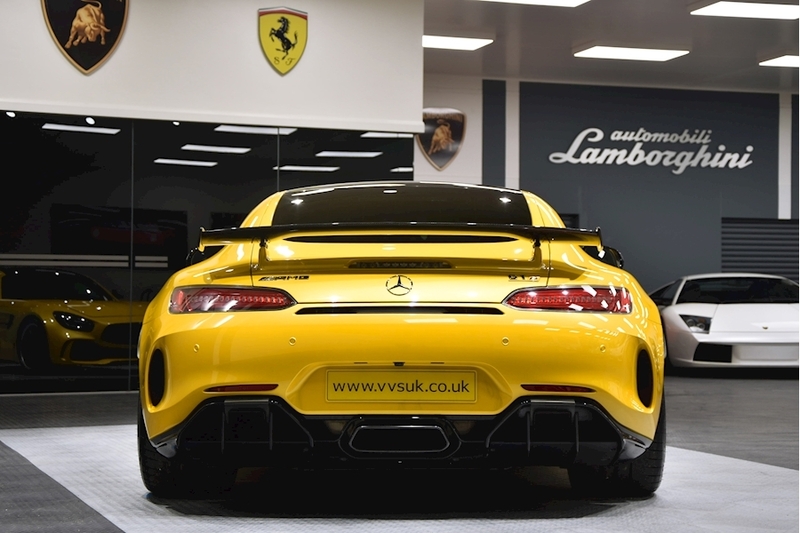 This car comes in as new condition and with being one of the highest specification cars on the market, this is offered with a great saving off of the original list price of the car.